Established in 1962, BSW are one of the leading central heating and renewables companies in the South East of England with services including boiler repairs in Worthing and its surrounding areas. Having started as a family-run business, BSW now employees over 100 people, yet we maintain the original values we were founded upon – providing all of our customers with the highest quality service possible and for the best value for money. Our team of certified engineers carry out boiler installations in Worthing for both private residential and commercial customers. For landlords and homeowners, we offer a fast and efficient boiler replacement service, offering expert guidance and advice throughout the process for added peace of mind. We also work alongside property developers and architects on new build projects. If you are looking to roll out boiler installations on multiple new build properties, our team can help. A boiler breakdown can be highly inconvenient, it stops you from having hot water to heat your home, clean your dishes and from having your daily shower. This inconvenience can be even greater in the winter months when the outside temperatures are much lower. BSW are on hand at all times to keep your boiler working and minimise any disruption caused from a boiler that isn’t working. All of our engineers are fully Gas Safe accredited and qualified to work across all brands of boiler, including Glow Worm and Worcester-Bosch. Our team of engineers are experienced in all types of problems encountered by boilers and central heating systems and can generally assist with any issue. Some breakdowns signal the end of a boilers serviceable life, for these occasions BSW are able to provide boiler replacements in Worthing and its locality. All our engineers have a number of years’ experience in boiler replacement and will make the changeover as seamless as possible for you. BSW are an environmentally aware company and place great importance on informing customers about the benefits of renewables. We are fully qualified to supply and install a range of renewables under the Microgeneration Certification Scheme (MCS) and are more than happy to provide you with advice on how renewables can help you heat your home in a more environmentally friendly method. At BSW we believe that in order to provide you with the most comprehensive quote we need to visit your home. This is why we offer a free, no obligation home visit to assess your needs and requirements to give you a full quotation. 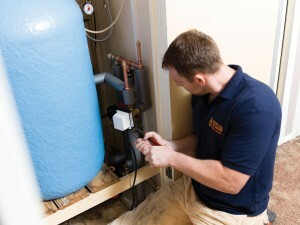 For boiler repairs in Worthing, get in touch with our team today and get a free quote. To arrange your visit or arrange a boiler repair please do not hesitate to contact us either by completing an enquiry form at the bottom of this page or by calling one of our friendly advisors on 01444 831138.